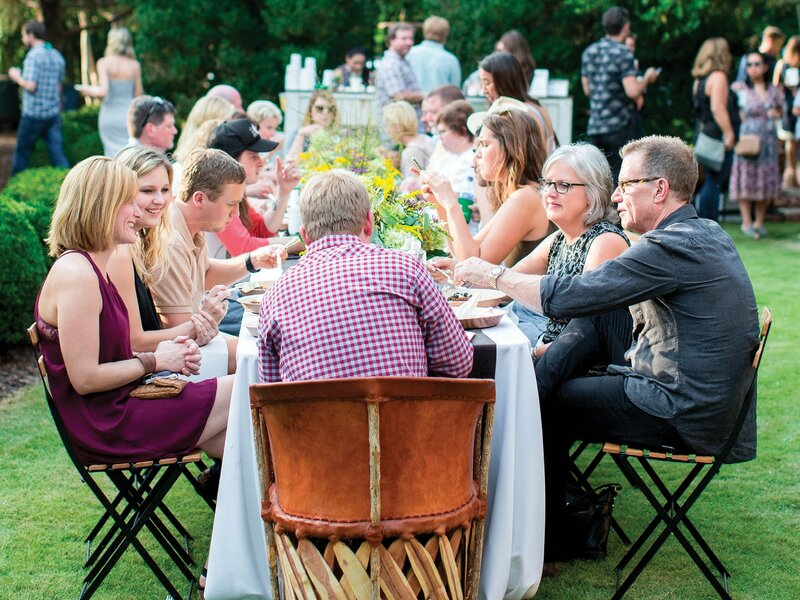 Sneak a peek inside Southern fashion rebel Billy Reid's annual Alabama-bred Shindig. The man of the hour, Billy Reid, strums his guitar for the audience to cap off the evening. Upon driving to the town of Florence, Ala., aka The Shoals, one is overcome by the stillness and serenity. Fresh green foliage envelops everything from rundown car washes to expansive farm fields. Cattle quietly graze while portable fans spin softly in the windows of the few homes nestled by the route. Instantly, it’s clear you are in a different world, one where a slower pace and a more relaxed approach to life easily trump that of the demands of city-dwelling and cyberconnectivity. The land, which was originally part of the Chickasaw Nation, presents itself as quintessentially Southern: gleaming with 19th-century charm and antebellum architecture juxtaposed with more modern fixtures, illustrating the town’s growing population and youthful influence. Upon witnessing the surrounds, it’s clear how one could become so enthralled by such a place as fashion designer Billy Reid has—so much so that he began hosting Shindig, a yearly festival celebrating the region’s finest in music, fashion and food. A model struts down the Billy Reid spring 2019 runway in Florence, Ala., during Reid’s annual Shindig festival. “It began 10 years ago as an idea to introduce special guests to our area. We wanted to entertain them, show them our collection and introduce them to the rich cultural significance of the Shoals,” shares Reid. Shindig has since become one of the leading marketing vehicles for the Shoals community, garnering attention at a national level. This past August, Shindig celebrated its 10th anniversary with a knockout roster of musicians, chefs and fashions, with each artist’s craft detailing a different layer of the intricate quilt making up the identity of the area. The Shoals is known for music thanks to the influence of FAME Studios and Muscle Shoals Sound Studios predominantly in the ’60s, both of which had artists such as Aretha Franklin and Bob Dylan running to record there to incorporate some “Muscle Shoals sound” into their repertoire. 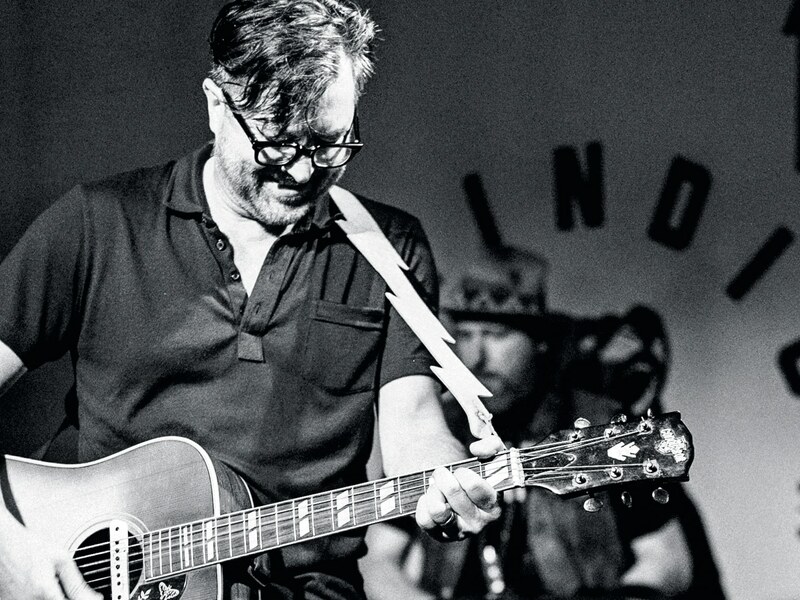 Reid drew upon this history with his lineup of musicians for Shindig, headlined by powerhouse soul band St. Paul & The Broken Bones and country music star Kacey Musgraves, among other local talents. The Broken Bones’ emphatic and emotion-filled ballads on the first night were balanced by Musgraves’ quirky feel-good songs, which had everyone in the audience singing along with her on the second. Guests gather to enjoy Shindig’s welcome dinner. Reid presented his spring 2019 collection over the Shindig weekend as well. The runway, which was flanked by church pews and set against a haphazardly draped curtain, had a relaxed Southern charm to it, much like the designer’s offerings for the season ahead. Building off of his modernized and textural buttoned-up bumpkin aesthetic, Reid’s menswear was rooted in the practical. A navy knit men’s suit could easily be seen on any of Florence’s inhabitants, as could his impressive takes on utilitarian workwear. Reid’s specialty is his outerwear, though—the standouts of which were served up in the form of a deconstructed trench coat with tonal nylon details and tortoiseshell buttons for him and an oversize textural patterned coat resembling a Navajo blanket for her. 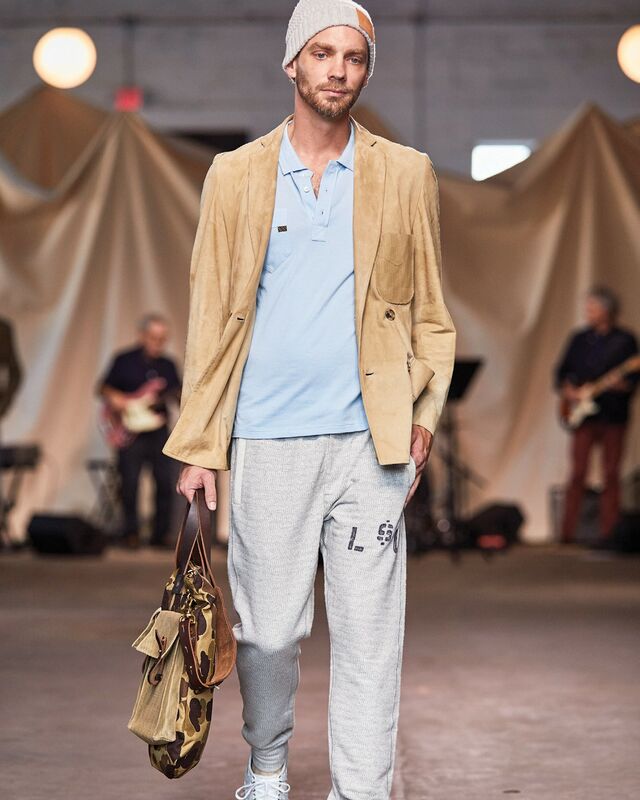 A pared-down men’s look from Reid’s spring 2019 show. When it came to feeding his guests, Reid brought out the big guns with James Beard Award winners Frank Stitt and Sean Brock, as well as the acclaimed Josh Quick and Kelly Fields. The foodie highlights of the weekend were The Barn at Blackberry Farm’s executive chef Cassidee Dabney’s woodgrilled okra, which packed the right punch of flavor from the flowering plant and was balanced by the slow burn of her spiced pepper puree and subtle layer of sweetness from fennel pollen topping each pod. James Beard Award winner Rodney Scott’s updated take on South Carolina barbecue was a winning combo of smoke and spice that created the perfect send-off to the perfect Southern weekend.